Welcome to Elite Coach Limousine & Transportation Service. 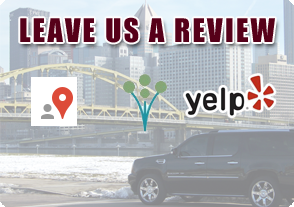 We have been providing exceptional transportation in Pittsburgh and the surrounding areas for over 25 years. Established in 1991, we have grown to become one of Pittsburgh’s premier transportation companies. Elite Transportation has a fleet of over 60 vehicles. Diversity is our driving force. Offering sedans, SUV’s, Vans, Limousines of multiple sizes and variations, Van Terras, Shuttles, Limo Buses, and Motorcoaches. 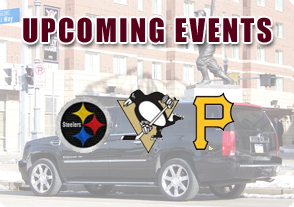 At Elite, we provide transportation services for a multitude of Pittsburgh events, weddings, corporate gatherings, proms, and many more. We can assist with both large and small events to ensure that is a success. Browse our fleet page to see what vehicle option is best for your upcoming event. Elite Coach Transportation is at Casa Loma. When it comes to prom limo services, Elite Coach makes your special evening a spectacular experience. Our attention to detail and response to personalized requests are true value-added services. Order or download a free Pittsburgh Visitors Guide from the official Pittsburgh, Pennsylvania travel resource! Elite Coach Transportation shared a post. Congratulations to Michelle Miller, Greg and the entire Elite Coach team out of murrysville Pa. on the Puchase of their now 2nd EG40 and 7th overall Grech Motors Product!!! You guys are great friends and an absolute pleasure to work with!!!! Cheers to your new purchase and many more years of continued success together!!! This bus is absolutely loaded!!! 39 passengers, lavatory, 350 cubic feet of full pass through belly storage, 110V/USB ports, Grech Elite seating, Grech Elite arm rests, Custom overhead luggage racks and so much more!! !